Established recently, business owners Allan and Shelly Hermansen opened Vicci Moto Coffee cart. They realized that the auto-row industrial park was in dire need for a place to get coffee and they decided to anchor it with their motor sports apparel business. We see them in social media and previously shared information about their Kickstarter campaign to open the coffee cart that raised over a few thousand to help them get started. While driving across town over the Corona St. bridge and needing a caffeine boost I started running through my mind ‘Where is the nearest place to get coffee?’ Bam! Vicci came to mind. Had to stop and try it out. I first drove Industrial Avenue to the front side of their building and saw the small coffee signs with arrows navigating me to the Auto Center Drive side of the building and saw the roll-up doors and coffee cart. When I arrived Allan was talking to one of their regulars who worked at Kala Brand Music which is close by. I ordered a double cappuccino and starting talking with Allan. He tells us that they not only saw the need for a place for the industrial park and auto row, but they also wanted a way to become more ingrained into the community. They would rather be meeting the people from Petaluma than sitting behind a desk and computer all day trying to introduce people to their business. Vicci Moto creates apparel for the racing industry. They plan to have events for auto sport groups and to expand and accommodate their guests with a lounge like experience – – who can also enjoy a great ‘cup-of-joe’ during their visit. They are also working on designing men’s racing apparel that is stylish and appropriate for off-track everyday wear like polo shirts. If you are ever in the neighborhood, swing by and check them out. They also have a menu of breakfast burritos, muffins and croissants. 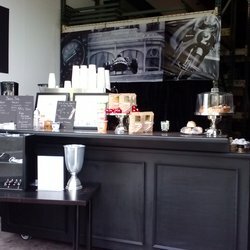 We were the first to Yelp review Vicci Moto Coffee Cart – I am sure they are going to get a lot more good reviews in the future. Thank to Vicci also for their thank you tweet! 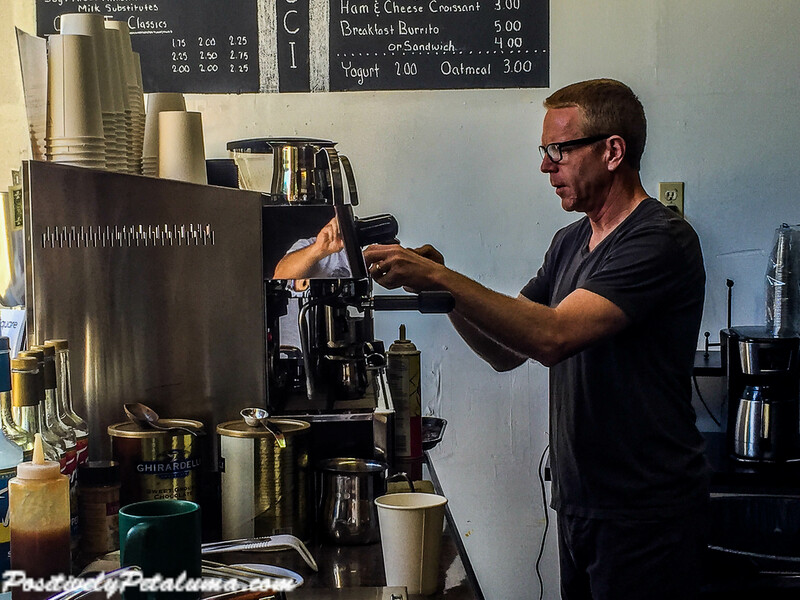 Author Wayne DunbarPosted on May 4, 2015 Categories Petaluma EatsTags Coffee, Coffee Cart, Petaluma, Vicci Moto Coffee Cart, Where can I get coffee in Petaluma?